Shares of the company fell more than 5 per cent to $1,623.90 after the bell, sliding as company officials discussed expenses on a conference call with analysts. Amazon posted a 63 per cent jump in net income to $3 billion for the fourth quarter, ahead of analysts' estimates. Sales rose 20 per cent, and a record number of shoppers signed up for the company's loyalty club Prime in the fourth quarter. Revenue for Amazon Web Services, the company's lucrative cloud computing business, surged 45 per cent. Amazon has used fast shipping and exclusive online television shows to attract shoppers, helping maintain its edge as the world's largest online retailer even as competition from rivals like Walmart Inc intensifies. Fees merchants pay Amazon to ship and advertise their products have fattened the company's once-thin profit margins. Yet investors turned their attention abroad where Amazon has long lost money in the hopes of future profit. 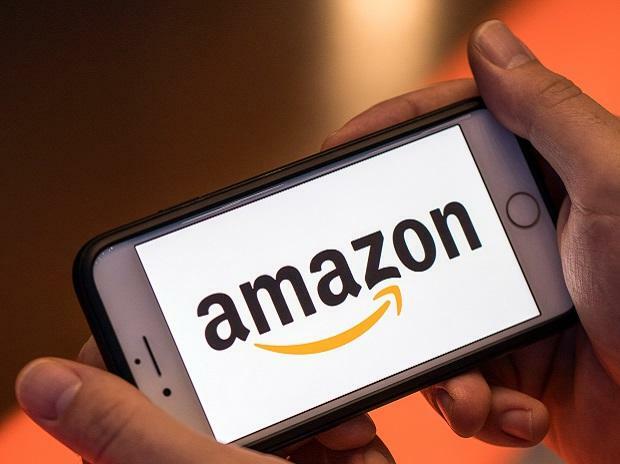 Though its operating loss shrunk to $642 million in the quarter from $919 million a year earlier, new regulations in India may hurt Amazon. The rules aim to protect local businesses by disallowing foreign e-commerce companies from selling products via vendors in which they have an equity interest. "There's a bit of uncertainty," he said, adding that Amazon's goal is to minimize the impact on its customers and sellers. "India remains a good long-term opportunity," he said. "The issues in India are taking a toll on the Q1 outlook, even as growth overall slows domestically," said Colin Sebastian, an analyst at Baird Equity Research. "Not a bad report, but there are enough questions where (the) stock will likely be under pressure." The company forecast net sales of between $56 billion and $60 billion for the first quarter, missing analysts' average estimate of $60.77 billion, according to IBES data from Refinitiv. The guidance includes two percentage points of negative impact from changes in currency exchange rates, Olsavsky said. Olsavsky also stressed that 2018 was light on investments relative to prior years, and he said that spending on the company's Prime Video service would increase in 2019 - already at an annual $5 billion, Reuters previously reported. Olsavsky declined to provide further guidance on expenses. He also said that the operating profit margin for Amazon Web Services would move around a bit. Revenue for the unit was $7.43 billion, beating estimates of $7.26 billion. Overall, net sales for the fourth quarter were $72.38 billion and beat analysts' average estimate of $71.87 billion on the back of a strong holiday season, which includes the major U.S. shopping event Black Friday. The results demonstrate that Amazon continued its "relentless assault" on other retailers over Christmas, Nicholas Hyett, Equity Analyst at Hargreaves Lansdown, said. Amazon said tens of millions of shoppers signed up for Prime during the season, helping boost revenue from subscription fees 25 per cent to $4.0 billion. The company has more than 100 million Prime members globally. This expansive customer base has lured merchants to sell goods on the company's marketplace, to the point where more than half of products sold on Amazon come from third parties. Making Amazon more profitable still are ad sales. The company now ranks alongside Alphabet Inc's Google and Facebook Inc as titans in marketing, letting these same merchants pay for high placement in Amazon's search results. Ad sales and "other" revenue jumped 95 per cent to $3.4 billion in the fourth quarter.